Thank you for your interest in Chashama’s Space to Create Program. 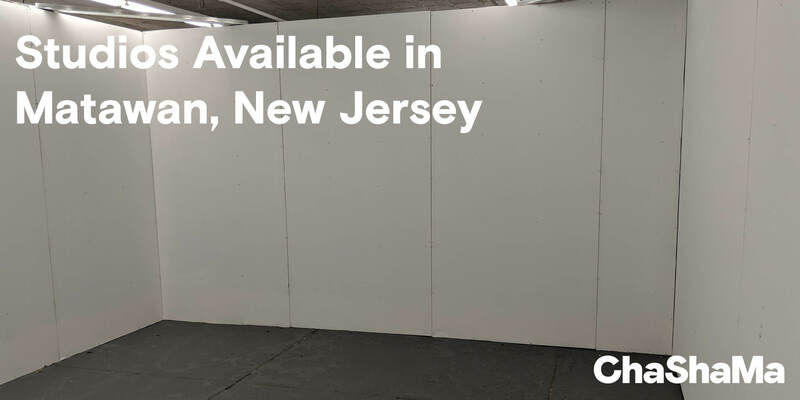 We have several studios available in our Matawan, New Jersey space, which is a short walk from the Aberdeen-Matawan NJ Transit Station. This space is newly rennovated and is situated next to a beautiful lake. Images & floorplan of the space can be found here. Available studios range in cost of $179-$300. Sizes of studios range from: 156 sqft to 300 sqft. Time period: Due to the temporary nature of Chashama's spaces, all workspace agreements between the artist and Chashama are month to month. Nevertheless, Chashama has held workspaces in some locations for over ten years. Artists in good standing with Chashama have the option to renew their workspace annually, or withdraw from the program at any time after giving one month's notice. Additional costs: All workspaces require a refundable $300 deposit. Prohibited Materials and Processes: Due to the open floorplan, some materials and processes are not suited to our spaces. Please see this PDF for a list of prohibited materials and processes; this list is subject to change, with warning. Eligibility: You must be 18 years or older to apply, be a U.S. Citizen, or have a valid visa longer than 6 months. Work Samples: Samples must reflect the work you’re proposing to do in the studios. Chashama's workspaces are not live-work or storage space. Also, workspaces are not transferable to other artists. Organizations: if your organization whishes to apply on behalf of an artist for a workspace, please designate one person as the applicant on behalf of the organization. Groups: two or more collaborative artists may apply together to share a space. Chashama is a community; we request that our Space to Create artists support Chashama by engaging with us on social media and sharing their contact list. 5 images of recent work (.jpg, .png, .tiff: these may be stills from video work). If submitting video work, please link to externally hosted videos.